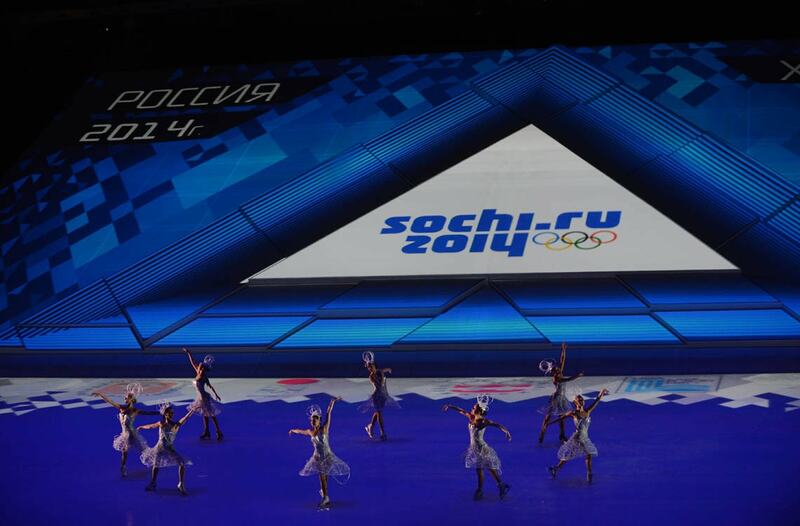 The International Olympic Committee (IOC) has decided not to ban Russia entirely from participating in Rio 2016, leaving it up to individual sports' governing bodies to decide if Russian competitors are clean and should be allowed to take part. The decision comes following a scathing report by Canadian sports lawyer Richard McLaren, alleging that a state-sanctioned doping system was in effect at the 2014 Sochi Olympics. Professor Peter Donnelly of the Faculty of Kinesiology and Physical Education shared his thoughts about the unprecedented events. Donnelly is director of the U of T Centre for Sport Policy Studies and specializes in research on sport policy and politics, sport subcultures and sport and social inequality. Were you surprised by the IOC decision not to impose a blanket ban on Russian athletes from competing at Rio? No, I wasn’t surprised. In one sense it was disappointing that the IOC deferred the decision to the International Sport Federations instead of making that decision from its self-declared position as the moral authority of sport. But given that the International Track and Field Federation (IAAF) had already made the decision to ban the whole Russian track and field team, a decision that the Court of Arbitration for Sport ruled was appropriate for the federation to make, perhaps it made sense to continue to defer the decision to the federations. I would like to have seen the decision made by the IOC immediately following the release of the McLaren Report last week. The IOC delay, apparently to obtain legal advice but also probably to consult with public relations experts and within the international sport community, gave time for the World Anti-Doping Agency (WADA), a number of national anti-doping agencies (such as the CCES in Canada) and many national team athletes in different countries to begin ‘piling on’ with calls to ban all Russian athletes from Rio. Would that have been a fair decision in your opinion? Banning the entire Russian team would have been unjust. The Universal Declaration of Human Rights states that everyone has the right to be presumed innocent until proven guilty. And while many athletes and doping agencies have genuine concerns about the revelations of a state-sanctioned doping system in Russia, there is also an element of conflict of interest in their calls to ban the entire Russian team: the doping agencies hoping to detract attention from their own failures over the years; and the athletes who may see a better opportunity to win a medal in the absence of Russian athletes. None of those calling for a ban on Russia would have accepted, in similar circumstances, a decision for collective punishment applied to their own country. In fact, the only ban of an entire country from the Olympics that has received widespread moral support was the ban on apartheid South Africa from 1964 until 1992. That ban, which prevented South Africa from sending all-white teams to the Olympics, received widespread support from the non-white South African majority, and also from non-white athletes in South Africa. Russian athletes will have to undergo additional scrutiny by their sport's international federation, including an analysis of each athlete's anti-doping record. Will they have enough time to meet the strict criteria before the start of the Games on August 5? I think that is fair. In light of the revelations about a state-controlled system of doping in Russia, the only way that athletes who have not used banned substances are going to feel that they are in a fair competition is if athletes who have potentially, but not necessarily been a part of a state-controlled system of doping are subject to extra scrutiny. However, the irony of this entire issue is how complicit were the athletes in a state-controlled system of doping? We do not know how much coercion there was for Russian athletes, although there have been some suggestions that if an athlete did not become part of the doping program, they were assigned to less able coaches and less favourable training conditions. So it’s ironic in this situation to focus on the athletes rather than on the sports medicine personnel, the coaches, the doping control technicians and bureaucrats, the sport organization executives, and the sport ministry bureaucrats and politicians who were complicit in creating a state-sanctioned doping system. Do you expect to see more individual sport federations, in addition to track and field, excluding Russian teams as a whole from their sports? It seems likely that international sport federations were given advance warning of the IOC decision. The International Tennis Federation, World Archery, and the International Equestrian Federation have already cleared Russian athletes to compete in Rio. Other sports are going through the same process. It is difficult to know if any other federations will make the same decision as track and field but, even in the case of track and field, I suspect that they will face a number of lawsuits from Russian athletes who have never tested positive but who were banned from participating in Rio. What will the ramifications of this scandal be on the world of sport? International sport has faced a perfect storm of issues in the last few years – financial corruption, doping, match fixing, athlete health and safety, judging scandals, the harassment and abuse of athletes, etc. Steps are finally being taken to bring the principles of good governance to the unregulated world of international sport. This latest case of state sponsored doping, coming on the heels of revelations of financial malpractice in the international soccer federation (FIFA) and the construction companies that built the Rio sports facilities, and ongoing international outrage about the conditions of work in Qatar for labourers involved in the construction of the stadia and hotels for the 2022 World Cup of soccer – all of these and more can only help to oblige sports federations to become more accountable and transparent. Perhaps the best outcome of the Russian state-sponsored doping issue will be a wholesale reform of anti-doping. The current system, under the control of national governments, National Olympic Committees, or international sport federations has clearly not worked well because of the conflicts of interest involved. Even WADA has direct connections to the IOC. Perhaps the outcome will finally be an independent, arms length international anti-doping agency, only accountable to the fairness of sport and not to national governments and sport organizations.